As the summer months quickly approach and vacations are booked, we know there is only one thing on your mind—swimwear. If you are a major bikini one-piece connoisseur, it can often feel like once you've seen one style, you've seen them all. 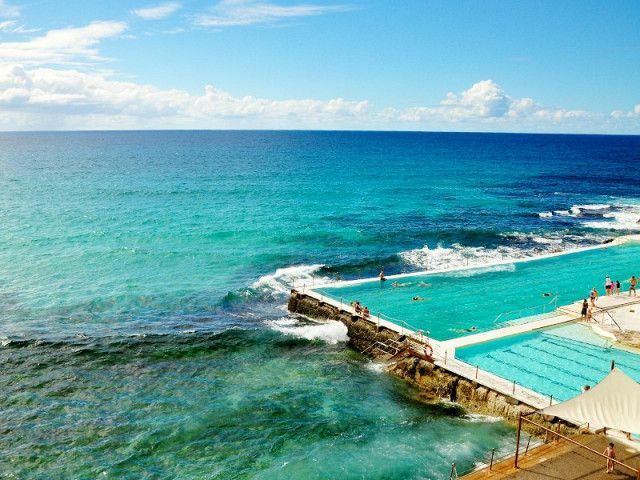 That's why are here to tell you about the one country that does swimwear unlike anywhere else in the world—Australia. Recently, while doing some research for a cool-girl Aussie brand story, I found myself overwhelmed by the number of stylish swimwear brands I was coming across. You know those moments where you find something so good you need to share it with everyone you know? That's exactly how I felt as I came across more than a dozen brands churning out incomparable swimwear designs. Since Australia is probably one of the most pinned warm-weather destinations in your Pinterest feed, it should come as no surprise that the girls there don't go trotting around in an average bikini. No—they're wearing swimsuits from brands you've never heard of before until now. Here, get ready to be overwhelmed by 13 of the best Australian swimwear brands we fell in love with instantly. Whether you're in the market for a striking one-piece or a barely there bikini, we apologize in advance for how many swimsuits you're about to buy. If you are in the market for a bright, unique and head-turning suit, Triangl should be your number shopping destination. From cut-out one-pieces to floral bikinis, this brand has every shape imaginable at prices you'll definitely be drawn to. Zimmermann creates some of the most beautiful, perfectly bohemian and consistently one-of-a-kind swimsuits. Although these might be a bit of a splurge, we can guarantee you'll keep yours for a lifetime as the styles are always strikingly classic. Founded by two friends, Becky Cooper and Bridget Yorston, Bec & Bridge is a huge name to know in the Australian fashion world. Although the brand designs more than swimwear, the suits at Bec & Bridge are too gorgeous not to mention on their own here. Up next, see the best bikini websites editors swear by.